Is Losing Weight Mind Over Matter? Is losing weight mind over matter? We wish, right? I think by this point we all kinda know that diets don’t work. They don’t. There are tens of thousands of diet books on the shelves, yet at the end of the day, low this and high that isn’t really the answer for everyone. It can be a very individual thing. However, there is one thing that you can do that can be effective no matter what weight loss approach you take: Mindfulness. Bringing a bit of mindfulness to the table can be the difference between a short term gain (or loss, as it were) or a long term habit. Mindfulness is a concept rooted in Buddhism. It is, by nature, contemplative. It brings awareness on a physical and mental level. How many of us eat on the go, out of sheer necessity? Most of our meal throughout the week are rushed, while we sift through work on our desk, or scroll through messages on our phone. How about just sitting down and eating? I know, radical, right? Listen to physical hunger cues, and eat just until you feel satiated. What? Well, to be fair to us, if we are doing work, talking on the phone or scrolling through our messages, can we really be blamed for not knowing when we are full? Ok, we can work on that. Distinguish between actual hunger, and non-hunger signals for eating. Okay, here’s where it gets a bit tricky. Its 11:30 am, we have spent our morning running from meeting to meeting – maybe even putting out fire after fire, and guess what? We forgot to eat. You will likely be famished. Truly. Plan your day as best you can so that you don’t find yourself in that situation. However, what about the night time nibbling? Its 9:30 pm, you have said goodnight to the kids, checked your e-mail (17 times!! ), and have already channel surfed for long enough to conclude that there is nothing grabbing your attention on TV. You find yourself walking into your kitchen every 3 minutes checking the fridge and cupboards to see if something is calling your name. 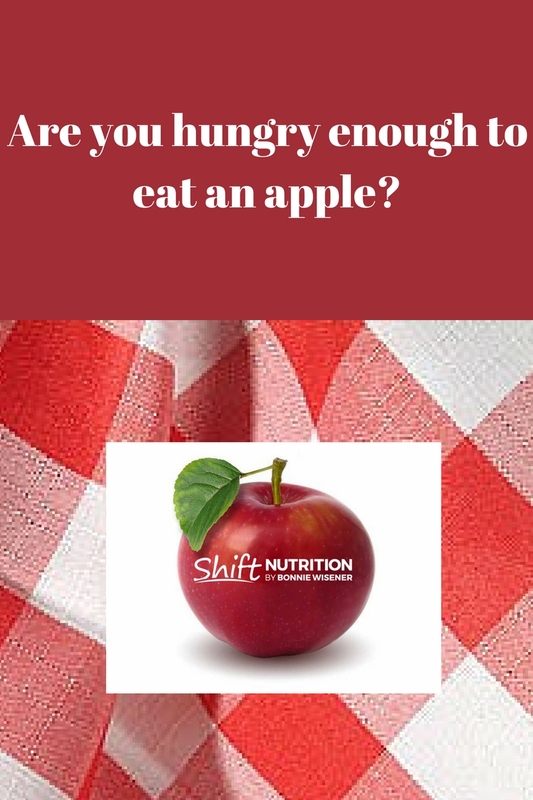 Ask yourself right then and there “Am I hungry enough to eat an apple”? If the answer is no, step away from the fridge. You my friend, are simply bored. Choose foods that nourish you, rather than irritate you. If you have noticed that some foods make you feel groggy, or give you a stomach ache, why continue to eat them? Keep a journal of foods that make you feel poorly. Stay the heck away from them. Your body is sending you a message. Listen. What’s that? Plan. Yup. Figure out a system for planning meals that will work for you. Whether it is spending part of a Sunday afternoon jotting down your meals for the week, or simply spending the night before preparing lunch to bring to work the next day. You are busy. Be mindful of the need to plan. Give some of these tips a try for a week or two. Jot down any observations that you make. I guarantee you that you will come out of that process with a slightly different approach for yourself. 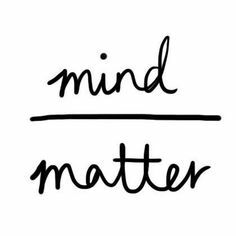 Try it because you DO mind, and it DOES matter.